The kitchen sink design is going to be the heart of your kitchen. Choose the material of the sink depending on the endurance and the look while you can always find them in every available style and design. 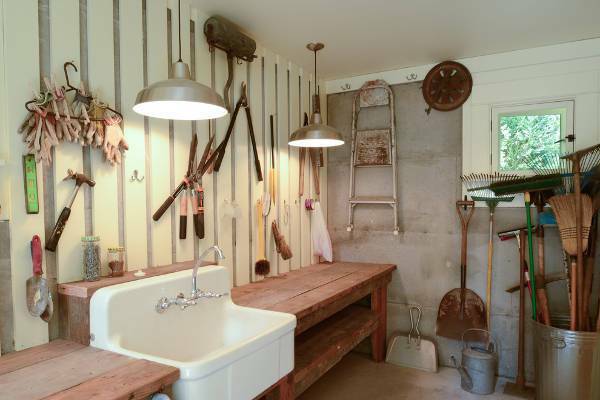 A double or triple sink is always preferable in the kitchen for practicality. Choose a state of art sink to add a modern touch in your bathroom. While the glass designs are suitable for modern sinks you will find incredible designs in other materials too like wood, stainless steel and porcelain giving you great alternative options to style your wash basin. 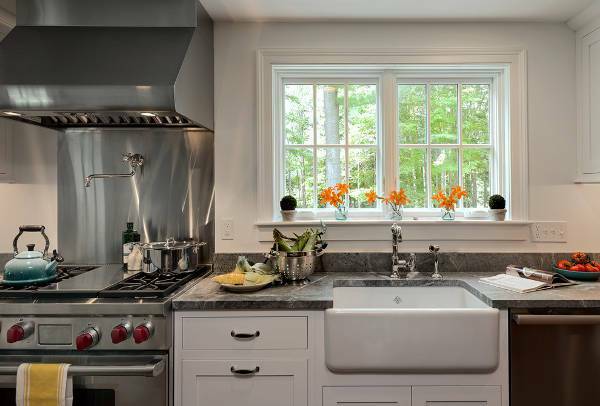 The vintage vibe of the farmhouse sink design is provided by the large apron front. You will find a great variety of farmhouse sinks in ceramic and porcelain designs as well as in wood to give you any options regarding the color and the shaping of the sink. 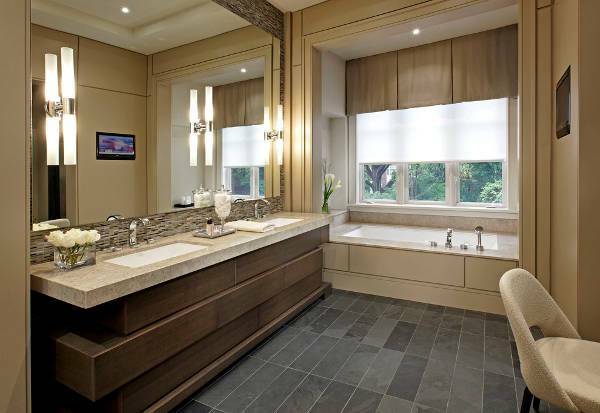 You can find many corner designs for sinks that come in single or double sink designs. When placing the sink in the corner you take advantage of this awkward spot while freeing much-needed space on your countertops. 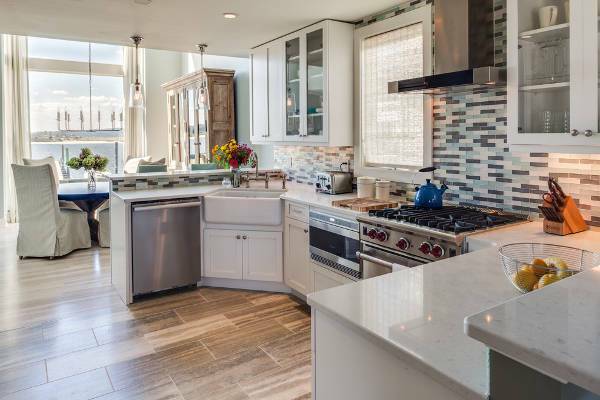 Match it with a corner kitchen window for natural light. 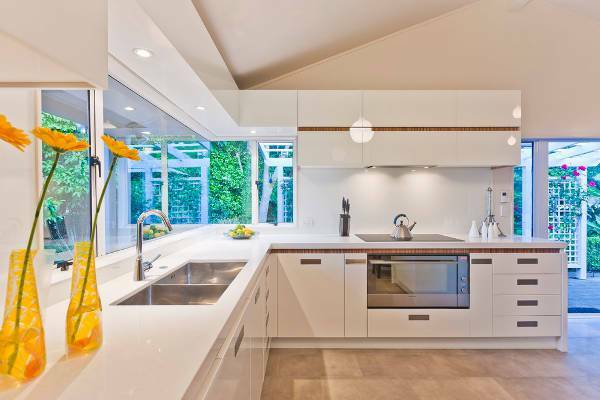 You can choose a sink made of natural stone or a stainless sink for your outdoors kitchen. You can experiment with different materials and create the most charming settings. You have to consider the quality of the sink as well as the weather resistant properties it might have. 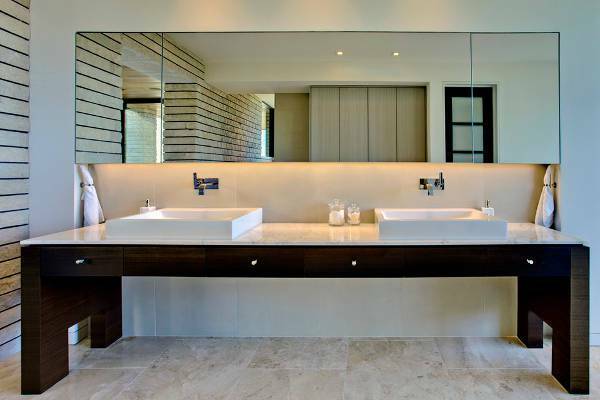 Choose the right vessel sink according to the room’s style. You can opt for a unique and stylish design made of glass or a combination of materials like metal, porcelain, wood, and glass to create the most fascinating designs. A vessel sink design is suitable for powder rooms and bathrooms. Laundry rooms require sinks in order to let clothes soak or to hand wash delicate pieces of clothing. 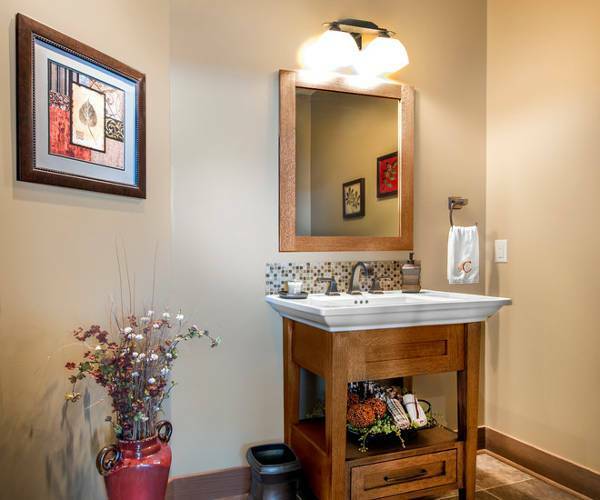 You will find many different designs in sinks that come in a variety of sizes and materials. You can decide on a beautiful and unique design to add character in your laundry room. 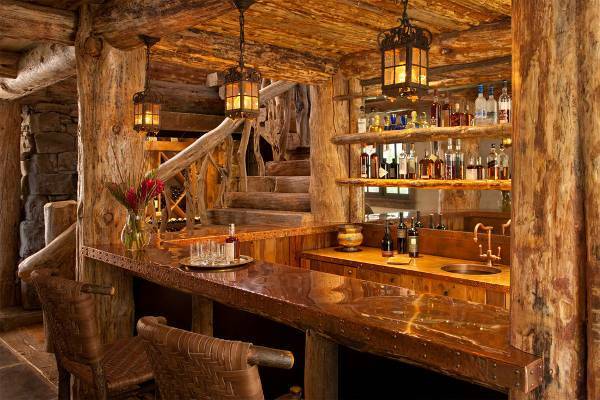 Wood sinks have a raw beauty that makes them perfect for a cabin look. You can bring the cottage style in your townhouse with a wooden sink in a stylish design for your bathroom or your kitchen. Make sure that you get a high-quality product for longevity. Undermount sinks are installed below the level of the countertop. This makes them invisible while seating making your kitchen look tidy and clean. You can have any sink style for under mount sink while the variety in materials allows you to choose the best for your space. In order to avoid moving the glasses from the bar to the kitchen, you can install a bar sink to wash the glasses and all the appliances you used while preparing drinks. You can find sinks in many designs and sizes in order to provide you with convenient choice solutions. 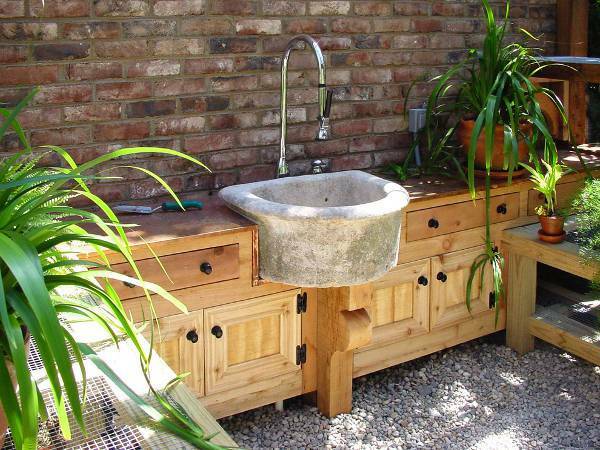 Perfect for industrial styled rooms, concrete sinks can be used in bathrooms, kitchens as well as outdoors. 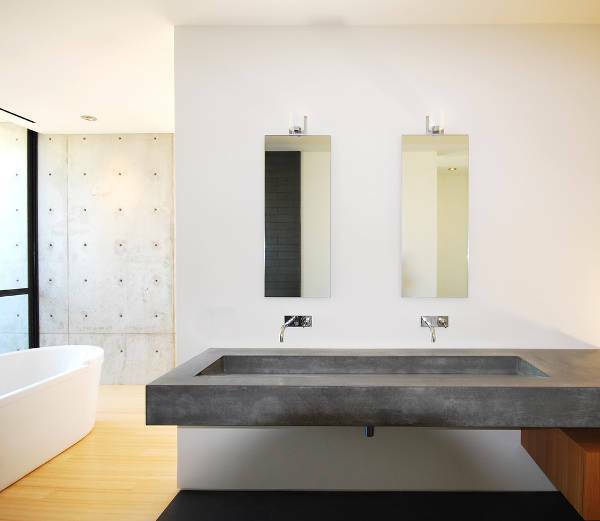 There is a great variety of concrete sinks that come in different shapes, styles, and sizes providing you with a stylish option for your room. Match them with stainless steel faucets for effect. Stainless steel is one of the most preferred materials for sinks for garage sink designs. You can choose a unique and creative design for the shape of the sink while you can match it with creative vanities to create something extraordinary for your space. Suitable for bathrooms and powder rooms. You can go for the classic pedestal sink or you can make a difference and choose a stylish sink for a unique powder room design. The constricted space is not restricting your choices since there is a huge variety in sink styles, materials, and sizes to choose from. Sinks are mainly used for washing purposes. Depending in which room they are installed they might have a different purpose. The most common are hand washing, dish washing, soaking clothes and others. Sinks come in many designs. 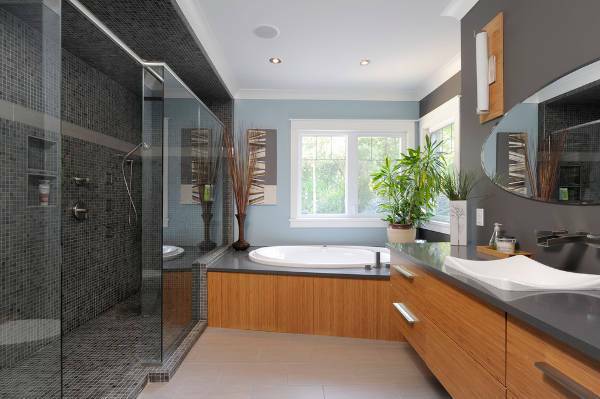 According to the room, you want to install the sink, you have to choose the right design. 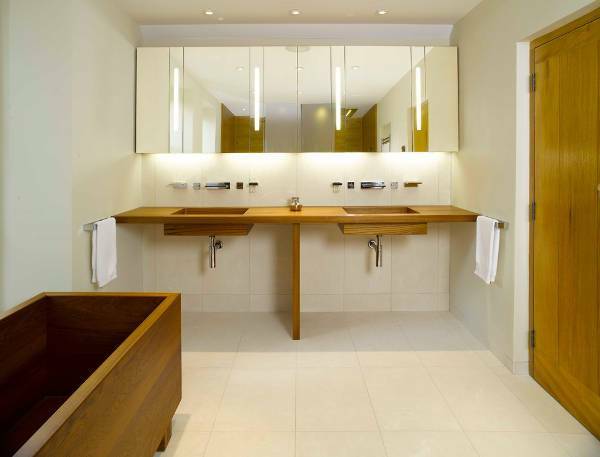 You can have a simple design with two sinks in the kitchen and a more uniquely shaped design in your bathroom. Make sure that the sink you choose has a top quality. You can choose a design with carvings or with special features in order to add character in the room. 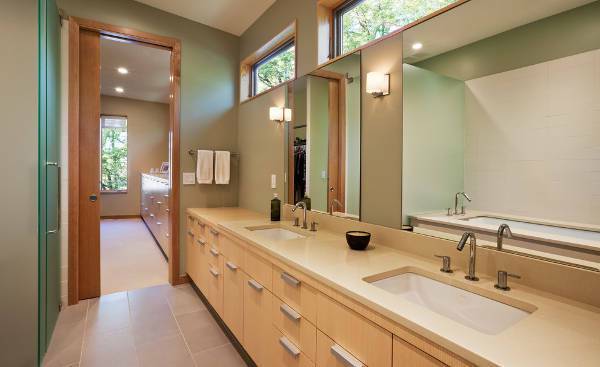 From triple sinks to round washbasins you will find sinks in every possible style to make washing your hands enjoyable.